La Mancellière is at the crossroads of three of France’s most celebrated regions: Normandy, Brittany and the Loire, giving you the chance to discover the very best of northern France from the comfort of our traditional farmhouse gites. And there’s no better way to explore all three regions than on two wheels. We cater for experienced cyclists riding independently or those wanting supported or self-guided touring holidays, leisure cyclists who enjoy a few days out in the saddle or simply holidaymakers wishing to work up an appetite before lunch. 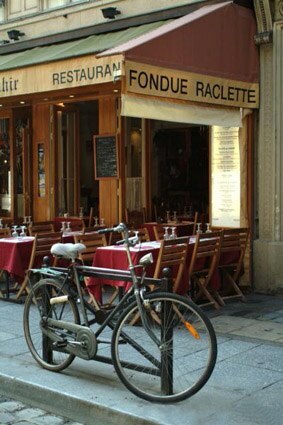 You are welcome to bring your own bikes or just ask us and we can help you to hire bikes and / or equipment, plan your routes and make the most of our stunning scenery à vélo. 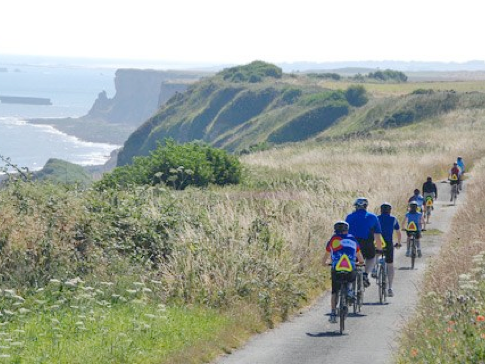 We work in conjunction with Brittany Borders Bicycling, a specialist, family-run company who create tailor-made cycling holidays and offer bike hire in our region. It is run by John and Veronica Hall, two keen British cyclists, who supply bikes, safety equipment, routes and tours adapted to your needs. They rent mountain bikes, road bikes, kids’ bikes and even tandems, all delivered here to your gite (or starting point) and collected when you are done. Prices start at 18€ per day for adult bikes and 10€ for children. Weekly rates are available and discounts for groups of 4+. Want a tailor-made tour? Click HERE to check out the “Apples & Pears” routes, specially designed for us by Brittany Borders Bicycling. The tour begins from La Mancellière and heads north to the beautiful fortress town of Mortain, onwards through rolling countryside and farmland, via the rambling orchards and cider farms of our region. Stop at the Maison de la Pomme et de la Poire near Barenton (a mecca for all things fruity and a good excuse for a refreshing glass of local cider or apple juice) before finishing back at your gite and heading up the ‘apples and pears” for a well-deserved rest. Click for more details about Brittany Borders Bicycling and their local tours or ask us for more information when making your booking and we can help make arrangements and hire bikes for you. As it can get busy in spring and summer months, please book early to avoid disappointment.